Tnx Tiffany and Rebekah for letting me take part! Brief Synopsis – A young lawyer is chosen to take on a controversial case and find a way to prove the innocence of his client. My Take on it – Here is another film that I had never heard of before seeking a film to watch for this blogathon. The title and premise seemed intriguing so I decided to give it a shot. They do a great job presenting this film as a taut courtroom drama that borders on the risque based on the fact that much of the story deals with issues that weren’t openly discussed around the time that this film was made. 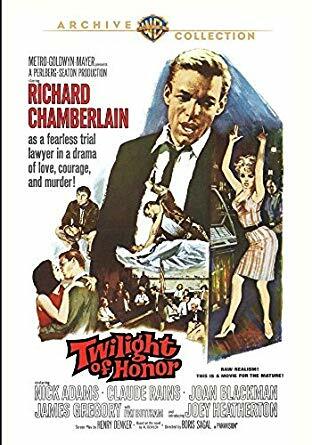 Richard Chamberlain does a great job as the defense attorney trying to help his client in his debut film and it’s easy to see his future potential based solely on this role. 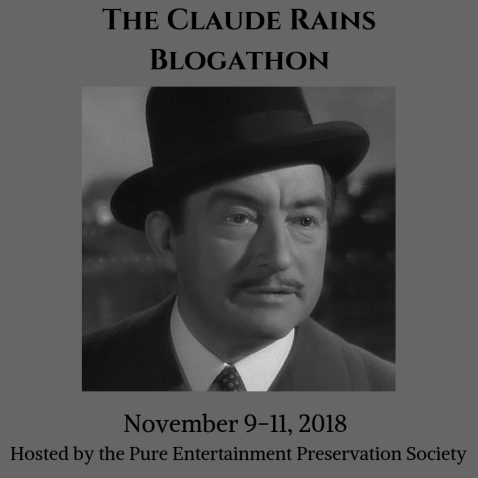 He is helped along by Claude Rains who is great as his mentor who assists him in trying to understand what needs to be done both in and out of the courtroom. The storyline is paced really well and they do a wonderful job keeping the viewer guessing as to what is truly going on. We get to see the various viewpoints of numerous witnesses who do a great job of conflicting the stories of other witnesses so not only do the characters need to decipher the truth in it all, but so does the viewer. Nick Adams is also great here as the defendant and he was quite deserving of an Oscar Nomination for Best Supporting Actor for this performance even if he didn’t manage to win. Bottom Line – Great court room drama that borders on the risque because it deals with issues that weren’t so exposed back when this came out. Chamberlain is great in his debut role and is helped along by a great performance by Rains as his mentor. The storyline moves along at a great pace and keeps the viewer guessing as we get to see the various viewpoints of the different witnesses to parts of the crime even if they conflict with one another. Adams was very deserving of his Oscar nomination for Best Supporting Actor for this role. Recommended!